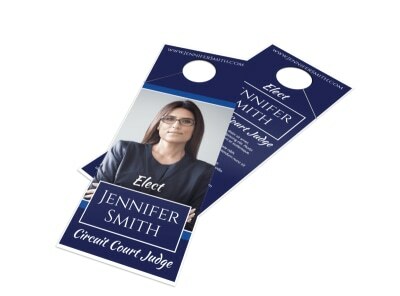 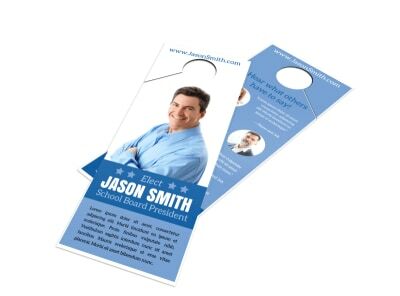 Customize our Campaign Vote Door Hanger Template and more! 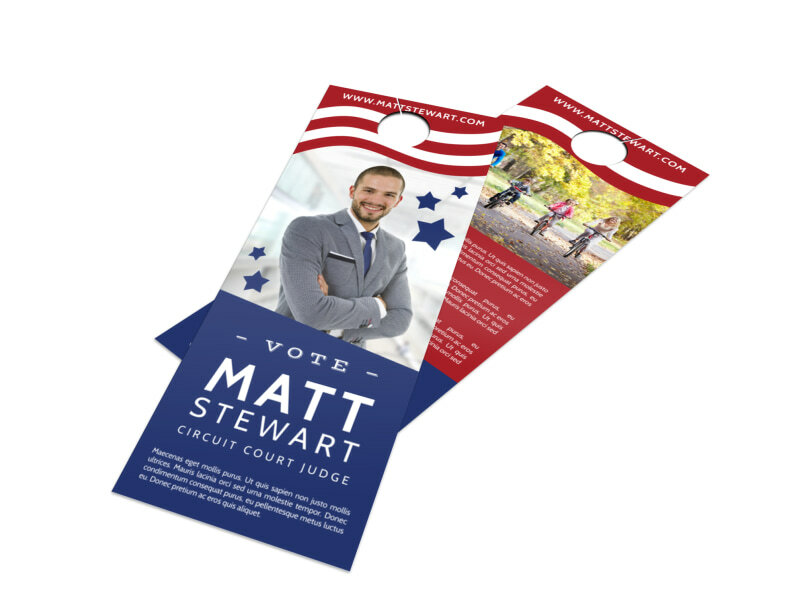 Create a door hanger to let everyone in the neighborhood know what you're running for and why to vote for you! 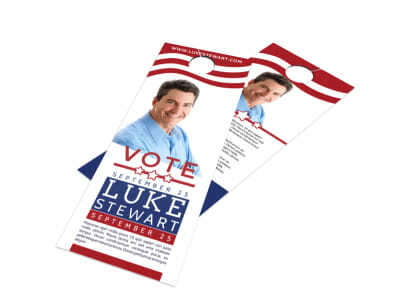 Choose from many different color themes and fonts to add your inspirational message so all the voters will know who name to write down at the poles. 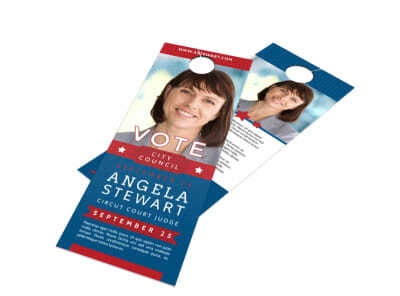 Print from where you are for fast access to your door hangers or let us print for you.